Looking for Talented Writers to Teach (Online)! Feel free to tell us if you'd like to teach something that we don't have listed here. We're open to your ideas for great course offerings. 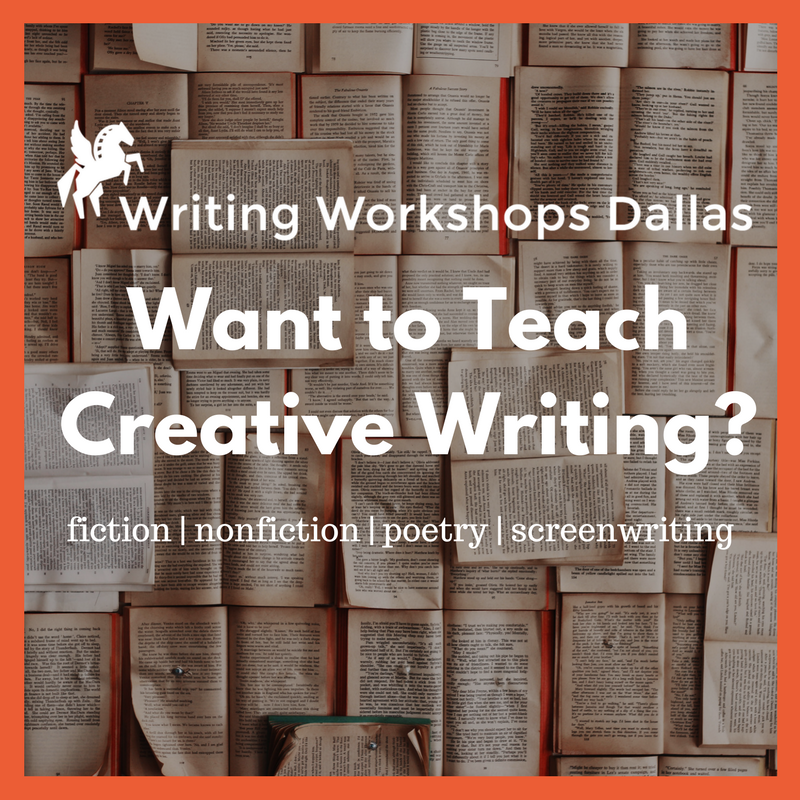 We follow the passion of our teaching artists, and we like to try new things at Writing Workshops Dallas. Tell us how you'd like to be part of our growing creative writing community in 2018 and include a link to your website and/or Twitter handle. Introduce yourself via the Tell Us About Yourself button below. We look forward to hearing from you! Thank you for introducing yourself and for telling us about the online creative writing courses you'd like to teach. We're honored that you're interested. We will be in touch in the next month or so after we have had a chance to look over your information. Thanks again!